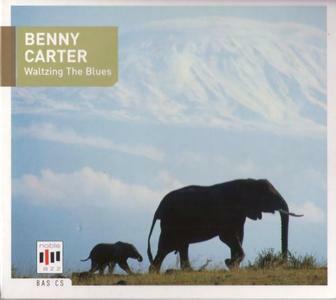 Bennett Lester Carter (August 8, 1907 – July 12, 2003) was an American jazz saxophonist, clarinetist, trumpeter, composer, arranger, and bandleader. With Johnny Hodges, he was a pioneer on the alto saxophone. From the beginning of his career in the 1920s he was a popular arranger, having written charts for Fletcher Henderson's big band that shaped the swing style. He had an unusually long career that lasted into the 1990s. During the 1980s and '90s, he was nominated for eight Grammy Awards, which included receiving a Lifetime Achievement Award. 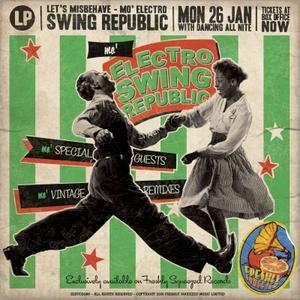 Swing Republic release their brand new album "Mo' Electro Swing Republic - (Let's Misbehave)" on Freshly Squeezed Music. The album will be available on CD and digitally from Monday 26th January 2015. Shihab toured Europe with Quincy Jones in 1959 after getting fed up with racial politics in USA and ultimately settled in Scandinavia. In 1961, he joined The Kenny Clarke-Francy Boland Big Band and remained a key figure in the band for the 12 years it ran. Needless to say, he became a very influencial figure in the Scandinavian jazz scene. 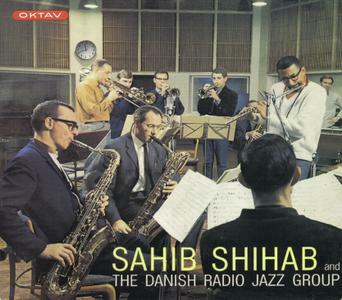 The present album features Shihab's own compositions and arrangements for the Danish Radio Jazz group, of which he had been a member since 1963. The brilliant group includes such Danish jazz stars as Bent Jaedig (tenor sax), Bent Axen (piano), Alex Riel (drums) and the young Niels Henning Ørsted Pederson on bass! 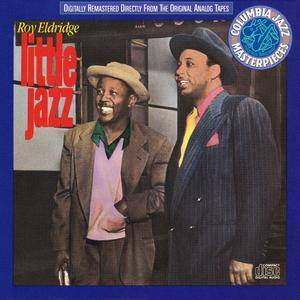 This CD contains the best recordings from the early years of the fiery trumpeter Roy Eldridge. Eldridge, one of the great swing trumpeters and a powerful player into the 1970s, is heard with Teddy Hill's orchestra, backing singer Putney Dandridge, on four titles with Fletcher Henderson (including the hit "Christopher Columbus"), starring on a four-song session with Teddy Wilson, joining Billie Holiday on "Falling in Love Again," soloing on two numbers with Mildred Bailey (his "I'm Nobody's Baby" solo is years ahead of its time), and, best of all, leading a small group through six songs (plus an alternate) from his own explosive sessions of January 1937. 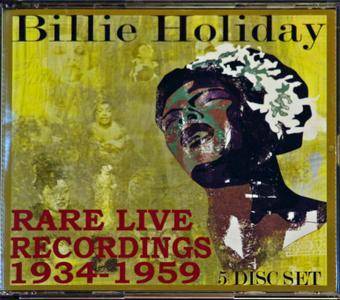 This brilliant music is essential for all serious jazz collections. 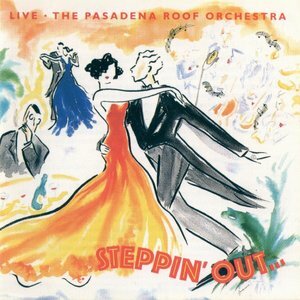 The Pasadena Roof Orchestra (abbreviated to PRO) is a contemporary band from England that specialises in the jazz and swing genres of music of the 1920s and 1930s, although their full repertoire is considerably wider. 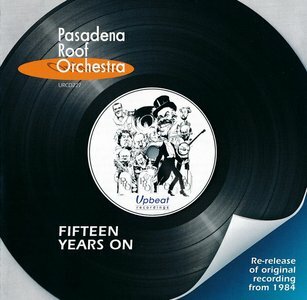 The orchestra has existed since 1969, although the line-up has frequently changed. It has achieved success outside of the United Kingdom, most notably in Germany. Reissue with the latest remastering. Comes with liner notes. One of those great records from the 70s that makes you say "man, Phil Woods was hip!" The session was cut in London with an electrified big band led by Chris Gunning, and featuring keyboards by the groovy Gordon Beck – kind of a blend of strings, keys, and woodwinds – providing some lush backdrops that allow Phil to really open up on some great solos. 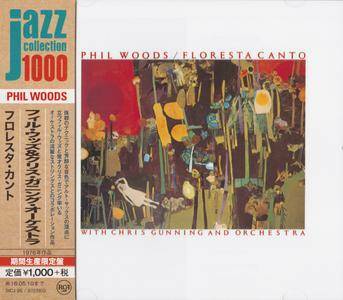 The style is similar to Phil's album Images, done with Michel Legrand – but with some more electric touches – and like that album, it's got a wonderfully fluid, lyrical approach that's quite different from the harder-jamming fusion albums Woods cut in Europe. Titles include "Canto De Ossanha", "Sails", "Roses", "Without You", "Jesse", and "O Morro". 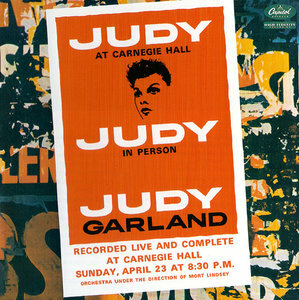 The late 1950s were tough on Judy Garland, but this live recording, cut on April 23, 1961, at Carnegie Hall, would (rightfully) bring the legendary icon back into the spotlight. Live would go on to win five Grammys, be Garland's bestselling record, and confirm that, yes, on certain levels, she still had it. Her vocals are as strong as ever on these tunes, and Garland has fun with an audience obviously enraptured by her charms. She's self-deprecating where necessary–on "You Go to My Head" she "forgets" the lyrics but pretends to improvise. Mostly she just shines, especially on tunes she made famous, such as "Come Rain or Come Shine," "Stormy Weather," and "Over the Rainbow." This is easily one of pop music's greatest live recordings and a fine testament to Garland's recorded legacy. This two-CD set has been remastered for EMI's 40th-anniversary reissue to coincide with the ABC film based on daughter Lorna Luft's memoir Me and My Shadows. 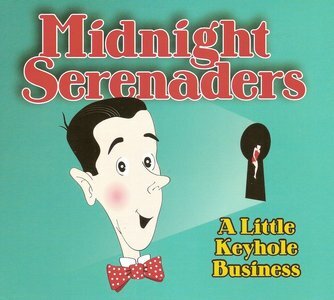 One of America’s finest vintage swing bands has released their 4th recording of carefully chosen covers and authentic sounding original songs. Superb instrumental work and compelling vocals featuring ukulele, Hawaiian Steel guitar, and horns. 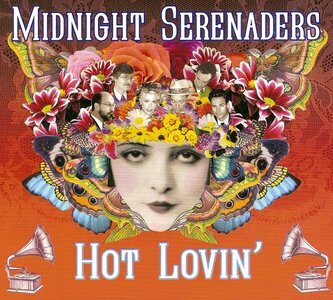 Proving that hot jazz and vintage pop of the 1920’s and 30’s is as relevant as ever in the present day, the Midnight Serenaders provide an infectious and irreverent take on the raucous and carefree music of “The Jazz Age.” The band formed in 2005, putting together a sound reminiscent of the small swing combos popular during the 20’s and 30’s, adding a Hawaiian flavor with the inclusion of ukulele and Hawaiian Steel guitar, with lots of clarinet and muted trumpet. There is no need to stress the importance of Frank Sinatra (1915-1998) in the world of vocal jazz and popular music. His ability to swing every song, and to give true life to their lyrics make him a unique figure, whose voice is well known all over the globe. This collection compiles 17 complete LPs from his golden years, which are complemented by 43 bonus tracks taken from singles and other albums from the same period. 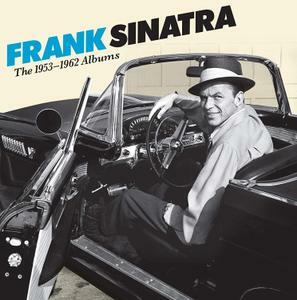 Sinatra is wonderfully backed by orchestras conducted by NELSON RIDDLE, BILLY MAY, JOHNNY MANDEL, COUNT BASIE, SY NOLIVER, and ROBERT FARNON. 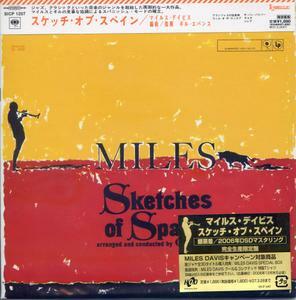 A beautiful collaboration between Miles Davis and the great Gil Evans – and perhaps the most perfectly realized of all their projects! The album's got a wonderfully unified feel – as it begins with long compositions that have a distinct Spanish-tinge (and not a Latin-tinge, which is an important distinction to the way the album progresses.) Evans' arrangements have a majesty that takes the songs to the next level – working them as lush, lively backings for Davis' equally majestic trumpet solos, some of the finest he ever recorded with large group backing. Wonderful all the way through – and with the tracks "Concierto De Aranjuez", "Saeta", "The Pan Piper", and "Solea". 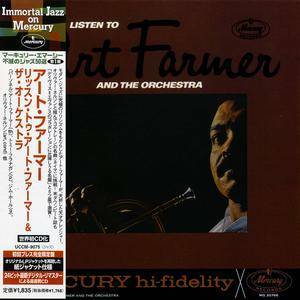 This delightful LP features Art Farmer with a large orchestra not long after he switched from trumpet to flügelhorn. 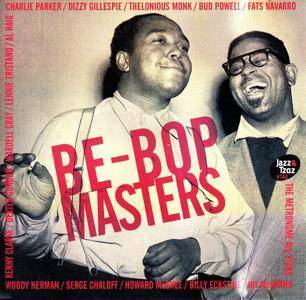 Oliver Nelson's arrangements provide great backdrops for the leader, as do the mix of dependable studio musicians and outstanding jazzmen assembled for the three sessions, including Tommy Flanagan, Phil Woods, Clark Terry, and Jim Hall, to name a few. The choice of material is inspiring: a snappy "Raincheck," and Farmer's moody "Rue Prevail," and a relatively (then) new work by John Coltrane, "Naima," which turns into a richly textured tour de force in the hands of Farmer & co.